"Modern building and room, nice gardens and swimming pool." Have a question for Pension Yeoli? 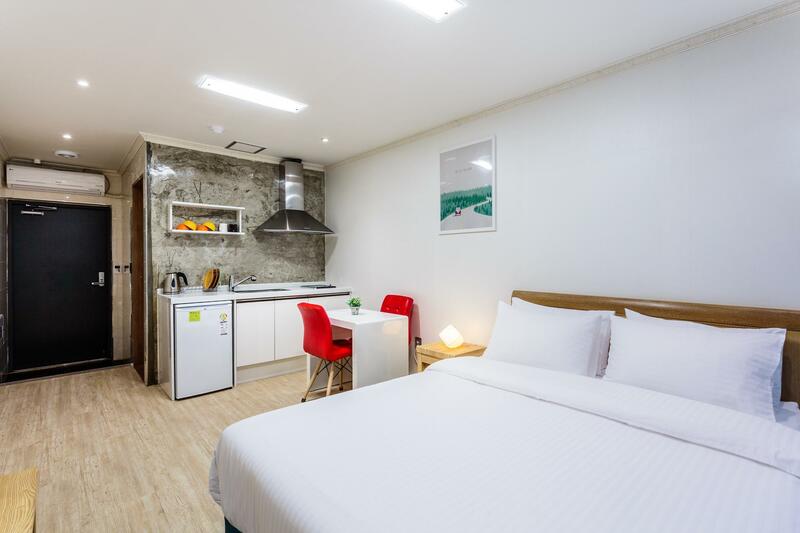 If what you're looking for is a conveniently located hotel in Jeju Island, look no further than Pension Yeoli. From here, guests can enjoy easy access to all that the lively city has to offer. With its convenient location, the hotel offers easy access to the city's must-see destinations. 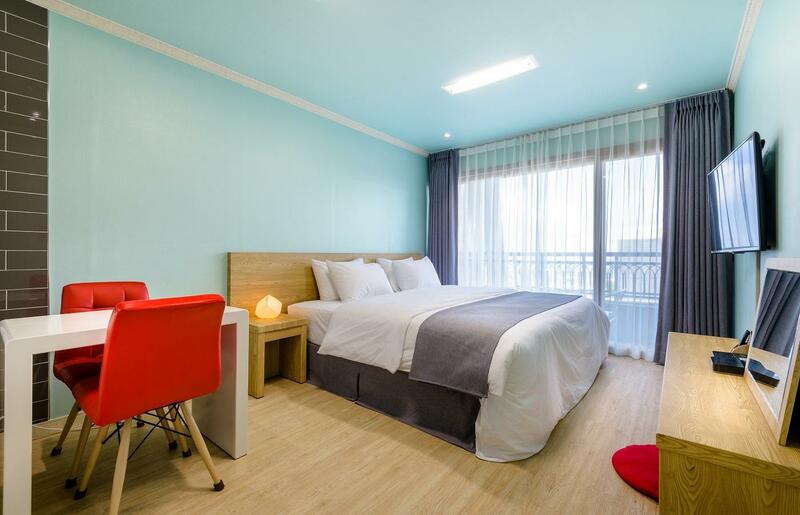 At Pension Yeoli, the excellent service and superior facilities make for an unforgettable stay. To name a few of the hotel's facilities, there are free Wi-Fi in all rooms, convenience store, facilities for disabled guests, luggage storage, Wi-Fi in public areas. Pension Yeoli is home to 27 bedrooms. 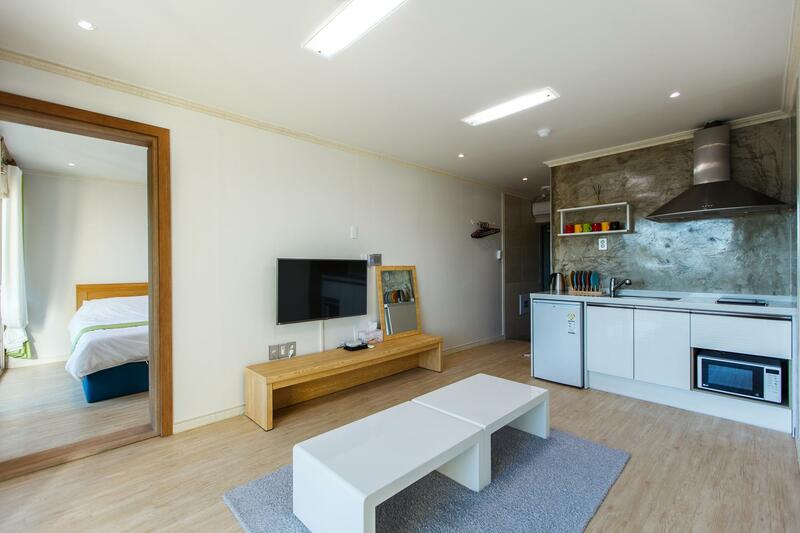 All are tastefully furnished and many even provide such comforts as television LCD/plasma screen, complimentary instant coffee, complimentary tea, mirror, towels. The hotel offers wonderful recreational facilities such as golf course (within 3 km), outdoor pool, fishing, pool (kids), garden to make your stay truly unforgettable. 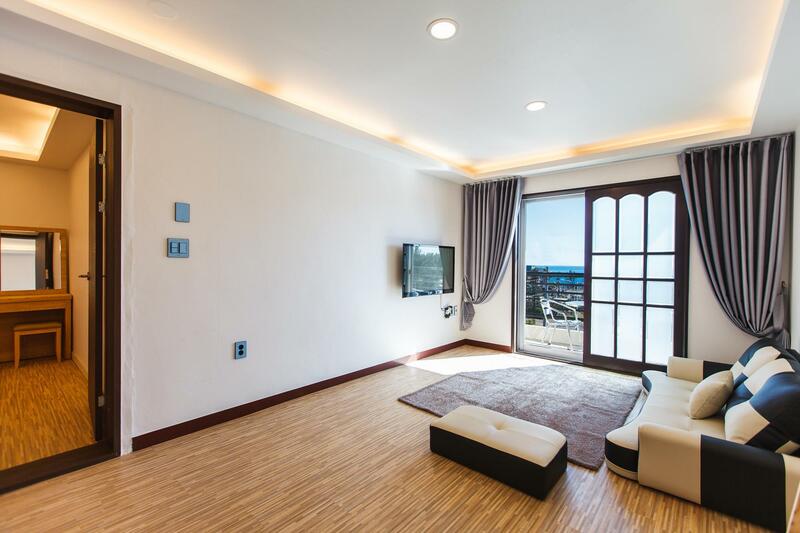 Enjoy unparalleled services and a truly prestigious address at the Pension Yeoli. "Good bbq service (for 15k they provide a ready to use bbq an..."
Check-in is between 03:00 PM and 10:00 PM. Arriving outside the mentioned check-in hours is not allowed. Elevator is accessible for Studio Room and Family 2-Bedroom Suite only. Elevator is not accessible for Family Room. Property's swimming pool is available during 4 seasons with hot water only except for January and February. In Studio Room and Deluxe King Room, the property only allows maximum 1 child under 24 months old stays for free using existing bed. Modern building and room, nice gardens and swimming pool. Friendly staff. Good bbq service (for 15k they provide a ready to use bbq and utensils). Only downside was lack of a proper bath mat and no shade for the sun loungers by the pool (the umbrellas there are fixed and poorly placed offering no shade at all!). It's also worth mentioning that this place requires a car! It's not within walking distance of Jungmun Resort. Nevertheless would definitely like to stay there again! Great stay and the staff were helpful and friendly. 수영장, 바비큐도 이용가능한 만족스러운 곳입니다. 다시 제주도를 온다면 다시 이용하고싶어요 거의 밖에 돌아다니다가 저녁에만 숙소를 들어왔기때문에 직원들을 많이 마주치진 않았지만 저녁에 로비에 계시던 나이가 조금 있으신 남자분이계셨는데 굉장히 친절하게 대해주셔서 좋았습니다. 수영장도 있고(비록 7월 초여서 많이 추웠지만) 방도 깨끗하고 넓고 너무 좋았어요!! 직원분들도 친절하셔서 더 좋았구요💕 다만 택시탈때 좀 힘들었어요ㅠ 외진곳이라.. 차 몰고 오시는 것 추천합니다. 아쉬운점이있다면 생필품은 챙겨가는게좋아요 칫솔가져가는게좋구 바디타올(?) 챙겨가야해여~ 수영장 분위기짱이구여 가족들도 많이오고 바베큐는 못먹엇지만 다들 저녁엔 바베큐구워드시는데 보기좋앗습니다! 방은 크기가 작았지만 ㅡ 수영장 이용할수 있어서 좋았구요. 물이 깊어서 더 좋았어요. 사장님이 친절하셨어요!!! 재방문의사 있어요!! 가격도너무싸고 위치도너무좋고 너무친절하고 수영장이 지하수라 벌레는 있지만.그거빼면 나쁘지않음 중문에서가깝고 제주도가게되면 이곳만갈예정입니다. 펜션 앞에서 바베큐를 해 먹을 수 있었는데 적당한 사람들 선선한 날씨 다양한 상황이 도와주었겠지만 정말 평화롭고 행복한 하루를 보냈습니다. 아 카운터 보시는 분이 굉장히 젠틀하셨어요^^ 고급레스토랑 지배인님 느낌이었습니다.